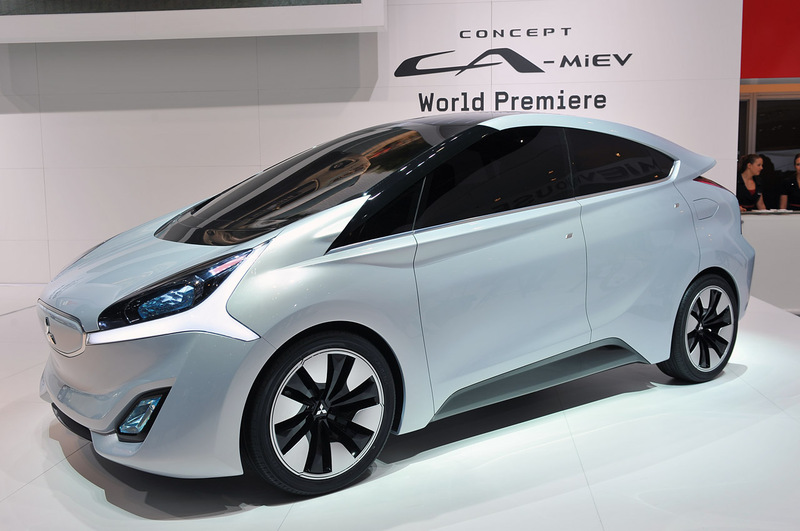 The Concept CA-MiEV concept car gives an indication of the direction MMC (which launched its i-MiEV in 2009), believes EVs will take in the near future. 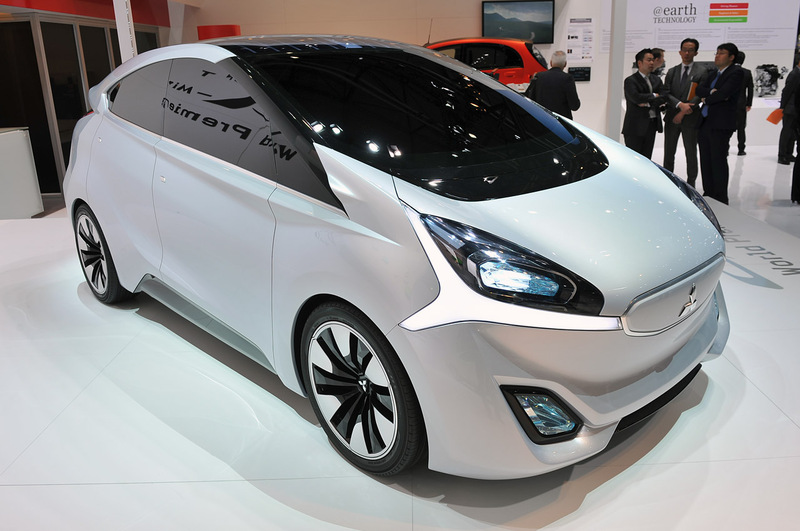 The system is fitted with a 28 kWh Li-ion battery pack (compared to the 16 kWh pack in the i-MiEV) and an 80 kW electric motor. The vehicle combines reduction in body weight with improvements in aerodynamic performance (Cd= 0.26), bringing about a cruising range of 300 km (186 miles). The EV system brings together lightweight EV components in an integrated motor, inverter, and charger module that reduces power losses. It also incorporates a full-time regenerative braking system that improves energy recovery rate, as well as a magnetic resonance wireless charging device that enables convenient charging (developed by WiTricity Corporation, IHI Corporation and Mitsubishi Motors Corporation and currently under investigation and testing). The remote-controlled air-conditioning system and management system for charging and discharging can be linked to smartphones or tablet devices. The vehicle is also equipped with a remote tracking function that captures the vehicle’s position using GPS if the vehicle is stolen, and MMC’s ECO-drive Assist which helps the vehicle to adapt to the driving environment. All-in-One integrated power unit ( 80 kW motor + inverter + charger) - to help with energy management, packaging and weight reduction. Compact flat battery pack – to help with packaging (esp. 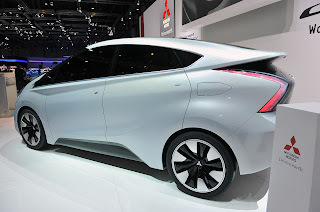 for possible later applications like range extender, ... ) and better long term battery performance. Magnetic resonance wireless charging technology – to help with user-friendliness, as jointly announced in September 2011 by WiTricity Corporation, IHI Corporation and Mitsubishi Motors Corporation and currently under investigation and testing.